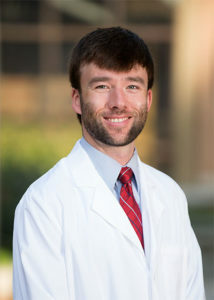 Moving back to Fairhope in the last year has been a joy for a number of reasons – putting years of school and training to practice back home on the Eastern Shore, working as a physician alongside my father, and treating patients of all ages in a field I’m truly passionate about! So what in the world is an Otolaryngologist? To start, we are specialists in diseases of the ear, nose and throat. Certainly everyone has experienced symptoms of common ENT problems at some point in their lives, and many can be relieved with time, over the counter medications or prescriptions after an evaluation from your primary care physician. An ENT offers surgical and medical treatment when problems just won’t go away. Sometimes you may have an issue with breathing, consistent throat pain and trouble swallowing, or even a sudden change in voice or trouble speaking or singing. Those symptoms could mean an issue with the larynx, or voice box, and the esophagus, or food pipe. We have video fiber-optic equipment to visualize these areas directly on the same day as your consultation. Life in the Deep South brings allergies and sinus issues. It might surprise you to know nasal congestion isn’t the only sign of a sinus issue. Do you have pain or pressure in your face, nose, upper teeth or ears or a decrease in your sense of smell? Your sinuses could really be to blame. Other symptoms might be a runny nose or trouble breathing in and out of your nose. An ENT can treat the ongoing sinus inflammation, and provide nasal and endoscopic surgery if necessary. Issues with balance or hearing are one of the top reasons for a doctor’s visit. When to see an ENT? We work alongside audiologists, professionals who diagnose hearing and balance problems, for comprehensive care of hearing issues. A combination of diagnostic audiological or vestibular testing with same day medical evaluation can provide you with answers to the cause for progressive hearing loss, ringing in the ear and vertigo. Children are especially prone to developing medically treatable reasons for hearing loss like recurrent ear infections, enlarged adenoid, sinus or allergy problems. Without treating the underlying cause of a chronic or recurrent infection, permanent damage can result. In older patients, skull base tumors, Meniere’s Disease, autoimmune diseases and more may require advanced evaluation and treatment. Is it ear wax, a foreign body or something more serious? A visit to an ear specialist for a microscopic exam of the ear is important. Sudden hearing loss is a relatively common and treatable problem, but prompt recognition and treatment within 24-48 hours is essential. For treatment of more permanent hearing loss, hearing aid options have never been better – with innovative, modern technology such as digital Bluetooth integration to mobiles devices, options are available for a variety of choices to fit your lifestyle and needs. In situations where hearing aids no longer provide benefit, we are now offering cochlear implants for the first time ever on the Eastern Shore. It’s exciting to see the frontline techniques, testing and treatments we have today in a field that impacts virtually every age. I look forward to seeing familiar faces and new ones now that I’m back home – and to sharing more thoughts on your family’s health in the months ahead.